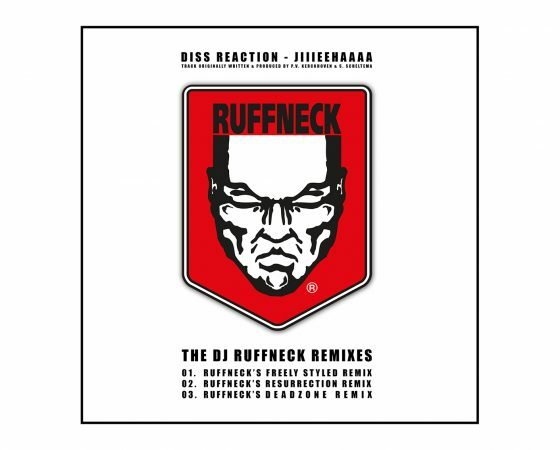 Home / News Category / Ruffneck Remixes – Download The Jiiieehhaaaa Remixes For Free! 29-08-2017 | Last week i announced that the Diss reaction track which was originally written by myself and S. Scheltema was used by the huge fashion house of DIOR in their new winter 2017 campaign. This news got picked up by magazines, internet stations and national radio and the likes. The response from everybody was simply overwhelming and so this weekend i sat down and decided that i wanted to do something extra for this tune and my followers who have been supportive ever since. Now when i was busy i started off with only one version, but for some reason i thought: “Ah what the hell, i’ll just make 3 different versions so people will have acces to a variety of styles on the same theme. I think it worked out pretty well to be honest and so as a return favour for all these years of people going crazy to the original version (Which i did not want to turn into a new “early version” as the original simply can’t be beaten) Instead I made 3 new ones keeping the original as is. After this time it will be transferred to iTunes, Spotify etc where people who missed it for some reason will be able to download it for eternity to come. I hope you enjoy listening to the tunes just as much as me creating them.